TPG Insider “Marty McFly” is a pilot for a major US-based airline. Today, he gives us some insight as to why a flight might be diverted — and what pilots are doing while it’s happening. So there we were, sitting in a holding pattern, waiting to get into a snowy hub airport. The first officer and I were discussing just how long we could hold and still have enough fuel to get to our alternate airport when the flight attendant said we had a passenger experiencing chest pains. It was time to bring up the “D” word: Diversion. While diversions are labor-intensive for both the crew and dispatchers, they’re also inconvenient for passengers. The main goal is to safely get to an airport, deal with the problem and get back to the intended destination as quickly as possible. Not all diversions are alike, but all of them are interesting, and typically caused by bad weather — either at or around your destination — medical emergencies or mechanical malfunctions. On rare occasions, a flight has to divert because of unruly passengers or security threats, but those cases may get the most attention from the press, they’re pretty rare. The first call the crew makes is to the company dispatcher, who has the most up-to-date weather reports for the closest airports and checks with the airline’s operations team to make sure the flight will have everything it needs once it lands. Pilots will then analyze their current fuel status, determine the fuel burn necessary to reach these airports and choose the best option. The dispatcher then coordinates with operations and gets the staff at the diversion airport ready, or contacts station personnel if it’s an airport the airline doesn’t usually fly to. After the decision has been made to head to a new airport, the flight attendants will be brought up to speed on the new destination and estimated landing time so they can begin preparing the cabin for arrival. The pilots will also brief them of the situation so they have all the information they need to work with. Gander International Airport (YQX), a common diversion spot for North Atlantic flights. Image by Gander International Airport / Facebook. Next, it’s the pilots’ turn to prep the plane for arrival — it’s time to re-program the aircraft’s flight computers with the new arrival airport and compute the landing distance required, since the plane is now coming in at a weight that wasn’t originally planned for. It’s actually the weight of the airplane that determines the required runway length, so we make sure the new airport’s runways are long enough to allow for a safe landing. After details regarding the weather and runway are loaded into the computer, the pilots will fully brief the new approach and finish their descent checklists. As a pilot, my goal is to get all of this done in an orderly and methodical manner so we can make the arrival process as smooth as possible for everyone involved. It takes a lot of coordination between the company dispatchers, operations control, air traffic control, pilots and flight attendants to make sure we’re all on the same page and ready to go. Once on the ground, a new set of challenges has to be addressed. If the flight diverted to an airport the airline normally flies to, it’s pretty straightforward. The reason for the diversion is quickly addressed, the plane is refueled, the dispatcher files new flight plans and the pilots get new clearance to the original destination. If, however the flight diverted to an offline airport, all of that still has to be done, but with ground personnel who may not be familiar with the airline’s procedures or aircraft. I remember arriving at a small airport and having to explain where the deicing crew had to spray our plane so we could be legal to get underway. The reason for the diversion adds to the complexity of the operation, of course, and some are simpler than others. Let’s take a look at some of the most common cases. Most weather diversions are fairly routine since there’s usually enough time and fuel to maneuver and get back in the air as soon as things clear up. The main concern for pilots is waiting too long to make the decision to divert. If it’s weather-related, there are probably other planes and pilots in the same situation and nobody wants to find themselves at the back of a line, heading to what’s usually a smaller, tertiary airport with fewer runways and approaches. It’s also desirable to divert earlier than later because once you get on the ground, it’s a first-come, first-served set-up, so getting there before everyone else allows your plane to get refueled and back in the air faster. 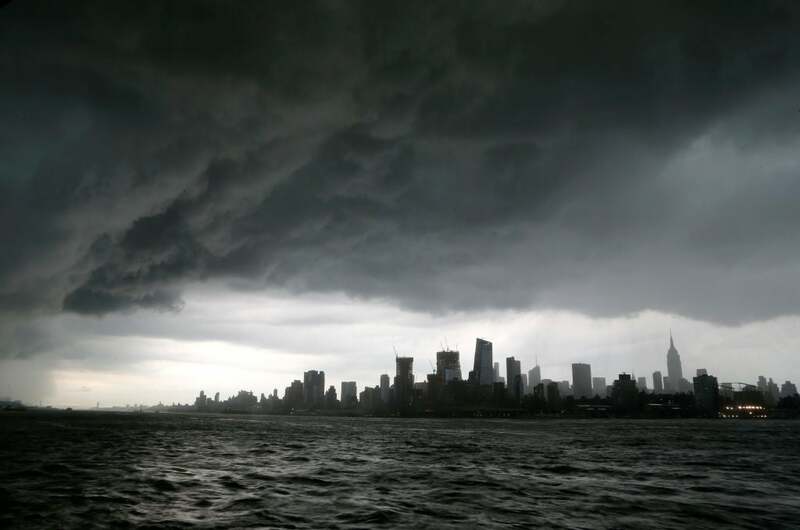 Bad weather is one of the most common reasons for flight diversions. Image by Gary Hershorn / Getty Images. Medical diversions are often the main reason for landing at an unintended destination on international flights. When a passenger becomes ill, flight attendants will follow their procedures to care for them — with the aid of medical professionals who may be traveling on the flight and onboard medical kits — and keep the pilots informed of the situation. Pilots will then call their company and ask to be connected to the medical team on call — there are a number of hospitals and on-call services that contract with airlines to provide fight crew with 24/7 medical advice. The pilots pass along all available information to the medical team, which will recommend if the flight should continue to its intended destination or head to a closer airport to get the sick passenger to a medical facility ASAP. If that’s the case, pilots coordinate with the medical team and dispatch to choose a diversion airport with adequate facilities nearby. For instance, if a passenger is having a stroke, we may fly to an airport that’s 100 miles away, but has a hospital that specializes in stroke emergencies. Dispatch will also call ahead to make sure paramedics will be waiting for the flight’s arrival, while pilots advise air traffic control so we can ensure emergency agencies at the airport will be ready to handle the incoming flight. Diversions for mechanical issues present a whole different set of challenges. The pilots’ first task is dealing with the malfunction to make sure that the broken system or component is secured and the backup systems are functioning properly. Next, the crew will advise air traffic control if the aircraft needs a new altitude or routing due to the broken system — if the plane has an engine malfunction, for instance, pilots will have to coordinate a new lower altitude due to the loss of thrust from the broken engine. As with other types of diversions, pilots will contact their dispatcher to decide where they should land. Rest assured that all commercial planes have backups for all critical aircraft systems. If the flight finds itself operating on a backup system, FAA regulations require the it to proceed to the nearest suitable airport at that point in time. Making the correct decision for where to take a broken airplane is the kind of event that pilots and dispatchers train and retrain for continuously throughout their careers. Getting that plane safely on the ground requires everyone — including flight attendants, dispatchers, maintenance teams and air traffic control — to use all their skills to assist the pilots. 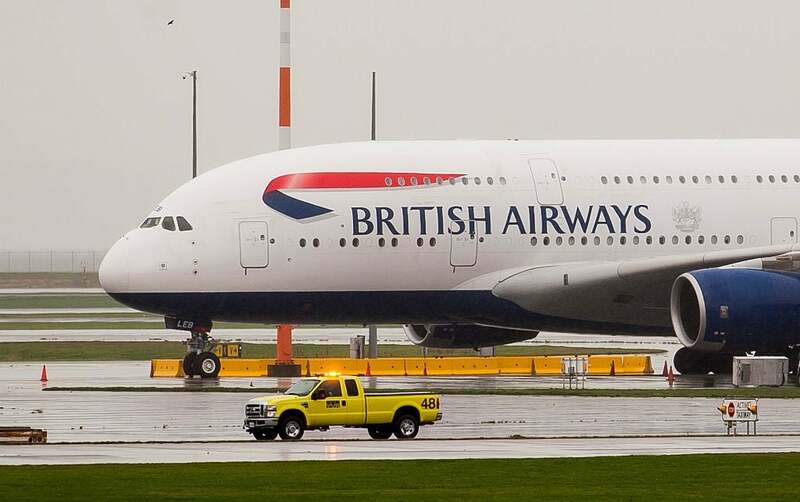 A British Airways A380 after being diverted to Vancouver on its way from San Francisco to London. Photo by Richard Lam/Anadolu Agency/Getty Images. The diversions that get the most attention these days are usually the result of a security breach, with most being caused by passengers behaving badly due to alcohol or alcohol mixed with drugs. Since September 11, airlines treat all in-flight disturbances more seriously. The airline industry is still a terror target and the assumption among most pilots is that any in-flight disturbance may be a prelude to a bigger threat. We also want to protect our fellow flight crew in the back of the plane and don’t want to subject them — or our passengers — to the actions of a violent or irrational individual. In these situations, the level of onboard security will often drive where we divert to. If the threat is severe, we’ll get back on the ground as soon as possible. If the unruly passenger is subdued or restrained, we will opt for a larger airport with law enforcement and resources available to get back underway as fast as we can. Other security events, such as credible bomb threats, are very dynamic and handled differently based on the information available to security experts at the time. Pilots, flight attendants, air-traffic controllers and airline dispatchers train regularly to handle all sorts of diversions, and that training enables us to execute at the highest level, minimize distractions and have the ability to address issues as they arise. The ultimate goal is to make navigating through an in-flight emergency as natural as operating an average everyday flight. Pilots will rely on all our training and resources to make the diversion as smooth as possible. While they are always inconvenient, please know that we’re trying as hard as we can to get you to the destination on your ticket as safely and as quickly as we can. Do you have any questions for Marty McFly, our TPG Pilot Insider? Sound off, below. Featured image by Digital Vision / Getty Images.